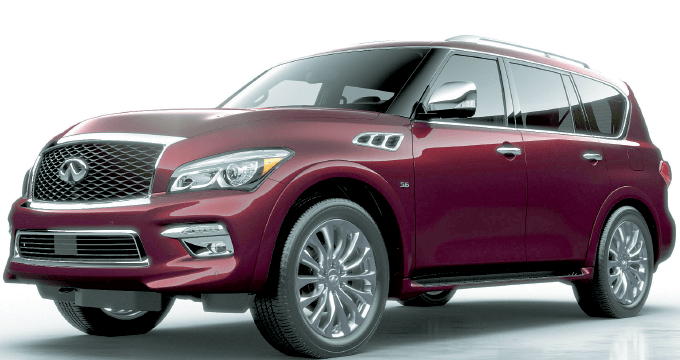 THE global premium carmaker Infiniti yesterday launched its latest model in Malaysia to complete its sport utility vehicle (SUV) line-up with the introduction of the QX80. The Infiniti QX80’s design is dynamic, its size is gigantic with the capability of transporting eight adults and their belongings with spacious elegance. The SUV’s signature front double arch and wave pattern grille mirrors the bold style of Infiniti’s popular Q50 sport sedan. The front fascia also features new light-emitting diode high/low beam headlights that illuminate with Infiniti’s distinct “brow-and-eye” daytime running lights. Other notable exterior features include body coloured front and rear overfenders beautifully integrated with a full-length running board, large yet lightweight 22-inch (55.9cm) forged aluminium alloy wheels, a large stainless rear bumper scuff protector and a power rear liftgate. The proven 5.6-litre V8 engine combines the responsive acceleration of Infiniti’s variable valve event and lift technology with the efficiency of direct injection gasoline to produce 405hp and 560Nm of torque. The V8 engine is mated to a smooth 7-speed automatic transmission with adaptive shift control and manual shift mode with downshift rev matching. The QX80 is offered with standard 4-wheel drive, featuring Infiniti’s proven All-Mode 4WD system with Auto, 4H and 4L modes. The system is designed to distribute torque to all four wheels when road conditions warrant (up to 50% can go to the front wheels on demand), helping to enhance traction. When off-road conditions become even more challenging, a multimode terrain switch comprising snow, mud and rock settings change the engine torque, 4WD and vehicle dynamic control parameters. The hydraulic body motion control system is introduced for the first time ever on a Infiniti vehicle. The system helps reduce body lean while turning, for a more comfortable ride. Utilising hydraulic cylinders located at the shock absorbers (connected via cross piping and two accumulators), it adjusts roll stiffness by allowing transfer of fluid between the left and right sides of the vehicle through passive weight transfer during normal driving. It also helps reduce bump shock by setting bounce and roll damping forces separately. - steering wheel switches for the safety shield technologies. Finishing the look of the QX80 are four exterior colours to choose from — Majestic White, Graphite Shadow, Dark Currant and Black Obsidian. Interior colour comes in graphite leather-appointed seating with Stratford Burl trim. The QX80’s on-the-road retail price without insurance is RM799,000 for personal registration. It is RM799,200 for company registration. More information about Infiniti, its Total Ownership Experience® and its industry leading technologies can be found at www.infiniti.com.my, “like” Infiniti on Infiniti Malaysia Facebook page http://www.facebook.com/InfinitiMY or visit Infiniti Centre Kuala Lumpur at The Icon, Jalan Tun Razak, 55000 Kuala Lumpur daily from 10am to 7pm. To book your test drive call (03) 2162 3223. This article first appeared in The Edge Financial Daily, on March 19, 2015.